Come See this move in ready 3 Bedroom, 2.5 Bath home just a short drive to Minnewaska State Park and Mohonk Preserve. 1st floor features include: Island Kitchen with seating, Formal Dining Room with wood burning fireplace, Formal Living Room and Family Room all with wide plank hardwood floors and Powder Room. 2nd floor features the Master Bedroom with a walk-in closet and an additional closet, on suite Master Bathroom, 2 additional bedrooms and full Bathroom and a large finished bonus room. All Bedrooms, Bonus Room and Hallway have professionally installed laminate flooring, basement is partially finished and a generator hookup already installed. 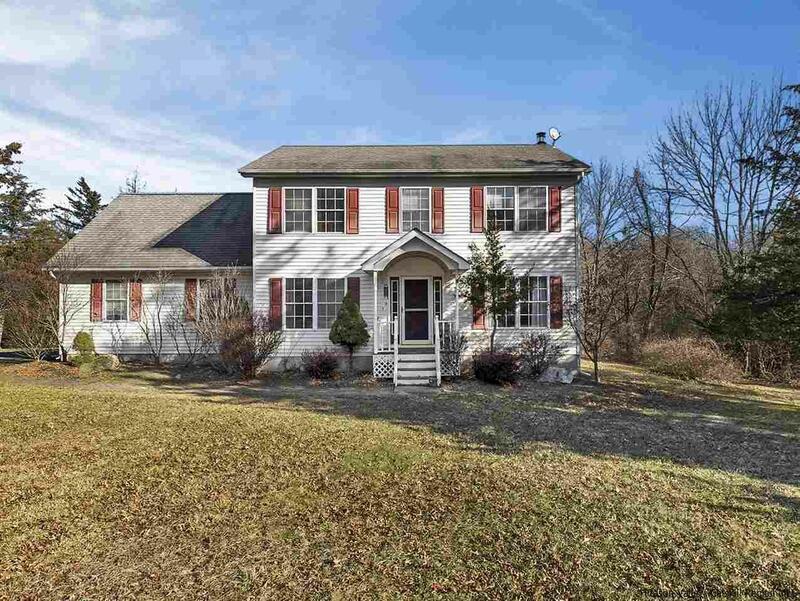 This home is situated on 2.4 acres on a quiet dead end public street with an easy drive to New Paltz, NYS Thruway and the Mid-Hudson Bridge.